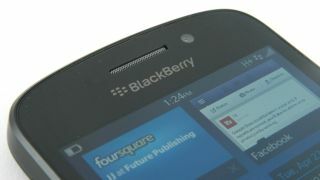 A budget BlackBerry 10 device? Is the Q5's time at the bottom almost up? The next BlackBerry smartphone looks set to be the Canadian firm's most affordable BB 10 blower to date, as specs leak out on the much rumoured BlackBerry Jakarta. There's been a lot of talk surrounding an influx of new BlackBerry devices, with Chinese manufacturer Foxconn claiming it'll be showing off several low-end smartphones at MWC 2014. That low-end tag has been reinforced by a Geekbench result spotted by BerryReview, which pegs an unknown handset as running BlackBerry 10.2.1 and sporting a 1.2GHz (1.19, to be exact) dual-core processor and 1.5GB of RAM. The current baby of the BB10 range, the QWERTY keyboard toting BlackBerry Q5, also packs a 1.2GHz processor, but a more generous 2GB of RAM. An advantage that this mystery device does have over the Q5 though is the inclusion of an Adreno 305 GPU, which also beats the Adreno 225 graphics processor in the Q10 and Z10. TechRadar will be reporting live from MWC 2014 to bring you all the latest from the show, and we'll be keeping an eye out for anything from BlackBerry.